Bill "Bubba" Bussey from the Rick and Bubba Show, Syndicated from Birmingham, Alabama. 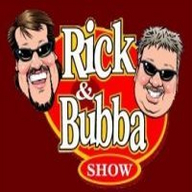 www.rickandbbubba.com. 1-866-WE-BE-BIG.